The town of Meriden is located in what is known as the “crossroads of Connecticut,” situated around two hours between Boston and New York City and approximately twenty minutes from New Haven and Hartford. There are plenty of opportunities for outdoor recreation in town, including the Hubbard Park, the Giuffrida Park, and the Meriden Lions Club Park. Several annual festival and events also take place throughout the year in Meriden’s parks. 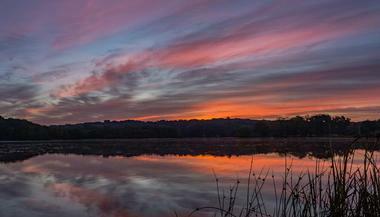 Meriden, Connecticut is also home to museums, unique shops, historic places, and delicious food. 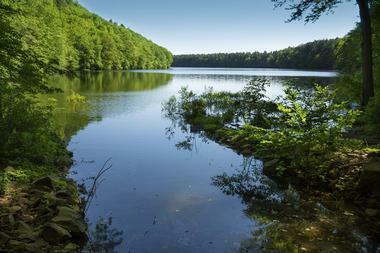 Hubbard Park, listed on the country’s National Register of Historic Places, is a popular destination in the town of Meriden, Connecticut for outdoor recreation. The park encompasses approximately 1,800 acres of land filled with picnic areas, hiking trails, a bandshell, flower gardens, streams, woodlands, and Mirror Lake. 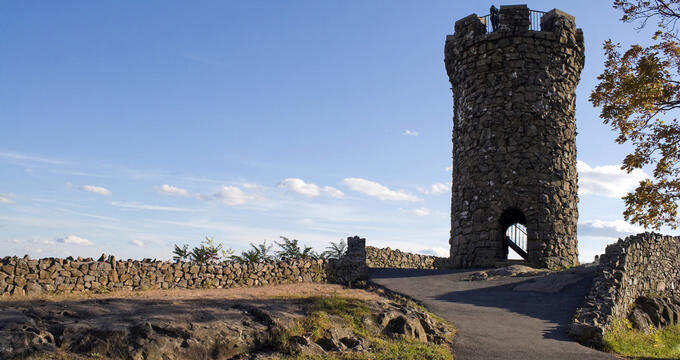 Visitors can take in the great views of the surrounding area from the top of the Castle Craig Tower, a historic stone tower. 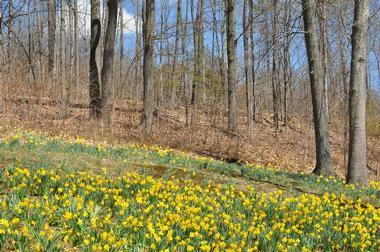 The most notable of the hiking trails at Hubbard Park is the Metacomet Trail, a 51-mile trail traversing the park. Mountain biking, bicycling, and hiking are allowed on the trails. 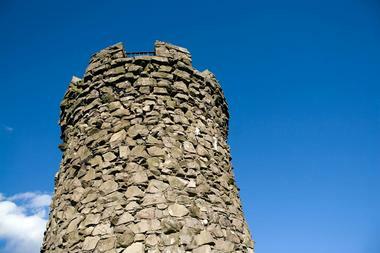 Castle Craig is situated in Meriden’s Hubbard Park on top of East Peak and is an observation tower built from stone. Dedicated in October of 1900, the tower was a gift from Walter Hubbard, the President of Bradley and Hubbard Manufacturing Company, to the citizens of Meriden. Hubbard was one of the town’s most generous philanthropic residents. The stone, round Castle Craig observation tower is made up of native trap rock and was constructed back in 1900 by local stone masons. It stands at thirty-two feet high with a circumference of fifty-eight feet. The observation deck is reached by the interior staircase. Giuffrida Park was formerly land that was used for farming by Jonathan Gilbert during the late 1600’s to the early 1700’s, and later used by Captain Andrew Belcher. The farm was the region’s first European settlement and became known by the name of the “Meriden Farm.” The entire area, and then the town, took its name from the farm. The park today include almost six hundred acres of land for passive recreation, located adjacent to Meriden Municipal Golf Course. The trails at Giuffrida Park, located in the town’s northeast corner, connect to Mattabessett Trail. These trails feature easy terrain. 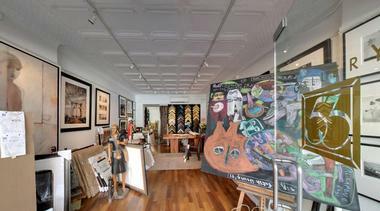 Gallery 53 in the New England town of Meriden, Connecticut is a 110-year-old dynamic organization for the visual arts with a dedication to making art an integral part of the local community. The organization’s gift shop, special events, workshops, paint parties, exhibits, and classes all help to make art more accessible to everyone, both adults and children, both non-artists and artists, and both dedicated craftspeople and casual hobbyists. Established back in the year 1907, the Arts and Crafts Association, dedicated to the community’s cultural enrichment, is one of Connecticut’s oldest organizations focused on the visual arts. 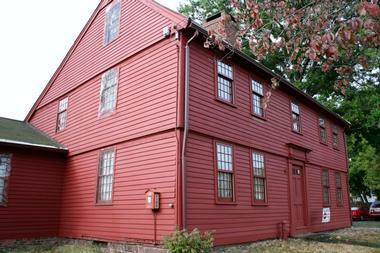 The Solomon Goffe House in the crossroads town of Meriden is a historic home museum that was constructed hundreds of years ago in 1711 and is now the oldest building still standing in Meriden, Connecticut. The historic house is now owned by the town and is open for visitors to come and tour during the summer season, as well as by appointment. 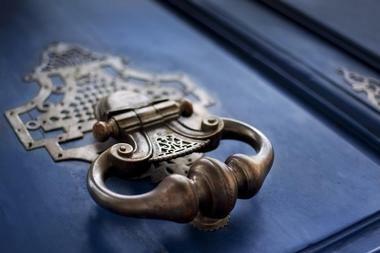 Tours are offered on the first Sunday of each month, between the months of April and November, from 1:30pm until 4:00pm. Every month features a different theme to the tours. The traditional herb garden a highlight. The Lions Club Park of Meriden marks the entry point to the Quinnipiac River Gorge Trail and provides a handicapped-accessible parking area for users of the trail, along with an information kiosk featuring a topographic map of the Quinnipiac River Gorge Trail, extending approximately 1.3 miles from the entrance columns all the way to the town line for Cheshire. Near the southern end of the Meriden Lions Club Park is the Red Bridge. The bridge a part of the town’s effort to restore the area surrounding the Hanover Pond the prominence it was once had when the bridge was originally built. The Meriden Historical Society Museum is housed inside of the Andrews Homestead and is open to visitors to come and explore from 11:00am until 3:00pm on Sunday from the month of May through the month of October. The museum showcases the historical society’s permanent collection, along with special exhibitions. The exhibit around the Colonial era is split up into two section. 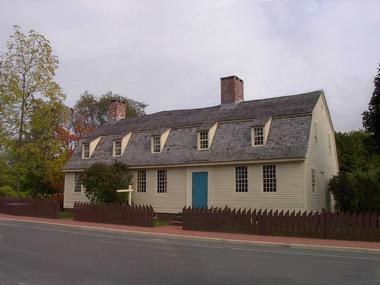 The main level of the Andrews Homestead contains special exhibits and items made in the town of Meriden, Connecticut, while the upper level consists of four different rooms showcasing the several different permanent exhibits. The The Isaac C. Lewis Mansion was built back in the year 1868 by Isaac C. Lewis, who served as the town of Meriden’s mayor between the years of 1870 and 1872. Lewis was also the president of the Meriden Britannia Company, founded in 1852, for fourteen years. The Isaac C. Lewis Mansion was listed in 1997 on the National Register of Historic Places. The historic building has an architectural significance of being an excellent example of the Victorian seaside cottage style, which is notable for rare decoration of interior ceilings, elaborate woodwork architecture, and eclectic allusions to a variety of styles. The Nardelli’s Grinder Shoppe has been offering a taste of tradition ever since the year 1922. The shop first started its humble beginnings in Waterbury, Connecticut on South Main Street and has now expanded to include multiple locations across the state. Today, Nardelli’s Grinder Shoppe still continues to use quality ingredients, provide the same old-school service, and offer huge portions to customers. 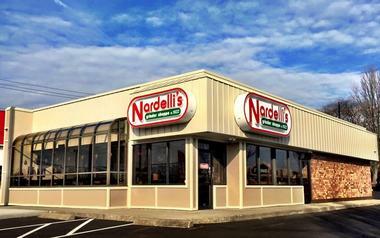 Nardelli’s, which has been owned and operated across three family generations, serves more than just sandwiches. A variety of sides, salads, soups, and desserts are also on the menu. Desserts range from cookies to cheesecakes to cannolis. 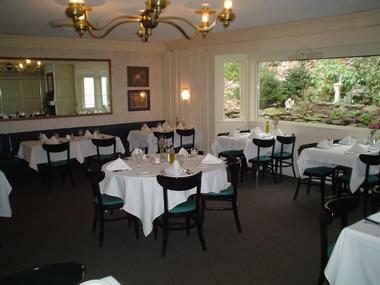 Ted’s Restaurant has always been a family owned and run establishment since its beginnings. When Ted, the original owner, passed away, his son Paul took over the restaurant. 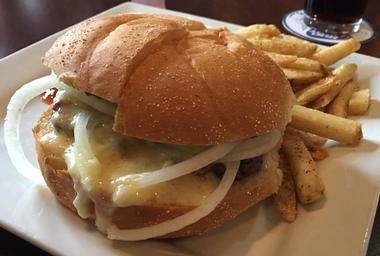 Only very subtle changes have been made throughout the years to the cheeseburgers at Ted’s Restaurant since Paul took over, such as using twice-ground meat and a kind of cheddar that holds together more when steamed. In 2008, the restaurant was passed on to Bill Foreman, Paul’s nephew. 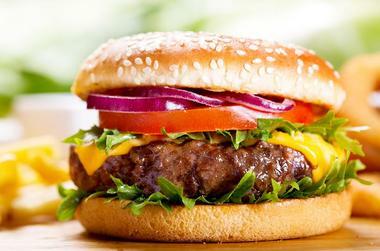 A special cheddar is steamed and scooped on top of burgers, enveloping them to create a unique taste and look. The Sans-Souci Restaurant was first opened its doors in the Meriden community in 1993 and has become a bit of a mainstay of central Connecticut. The restaurant provides excellent service and food while keeping an enjoyable, yet casual atmosphere. Every dish at Sans-Souci is made with the freshest and highest quality ingredients available with a bit of the restaurant’s own creative flair. The menu includes low-fat and gluten-free items, making Sans-Souci Restaurant a great place for those with special dietary needs to enjoy a meal. Lunch is served on Tuesday through Friday and dinner Tuesday to Sunday.